As Part of the Words Project the Festival presents early 19th Century Brattleboro jurist and author, Royall Tyler. 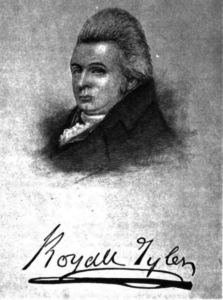 Royall Tyler (1757-1826), was a resident of Boston, Guilford, and finally Brattleboro. He served briefly in the militia during the American Revolution and again following the American Revolution, when he played a role in Shays’ Rebellion while serving as an aide de camp. In his early law career, Tyler courted future President John Adams daughter, Nabby Adams. 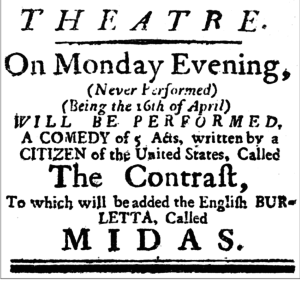 Tyler wrote the first American comedic play, “The Contrast”, which was staged in New York City in 1787 as part of inauguration festivities for George Washington, who also attended the performance. Tyler was also a Vermont attorney and Supreme Court Justice who wrote opinions for the court and who also published verse, fragments, and orations, which were published in many early American newspapers. He also penned one of America’s first novels, The Algerine Captive: or the Life and Adventures of Doctor Updike Underhill: Six Years a Prisoner among the Algerines , which was published in Walpole, New Hampshire, in 1797 by David Carlyle, Jr. Judge Tyler moved to Guilford, Vermont with his wife, Mary (1775-1866), who was eighteen years his junior. He later moved his family to Brattleboro and the couple had eleven children. Mary outlived him by 40 years and known primarily for her work, The Maternal Physician, America’s first child rearing manual, which she wrote in 1811, and was finally published by her descendants in 1926, as well as Grandmother Tyler’s Book, an autobiography edited by her granddaughter, Helen (Tyler) Brown, and published in 1925. On Thursday, September 13, 6:00 pm at Brooks Memorial Library beginning at , Tyler scholars, Marius Peladeau and Tom Ragle, along with “True as Steel,” authors Don McLean and Christina Gibbons, will host the Words Project Roundtable discussion on the Writings of Royall Tyler and Mary Palmer Tyler. In 1991 to commemorate the Vermont statehood Bi-Centennial, local residents Don McLean and Christina Gibbons co-wrote a play called “True as Steel,” about life of Royall Tyler and his wife, Mary (Palmer) Tyler. 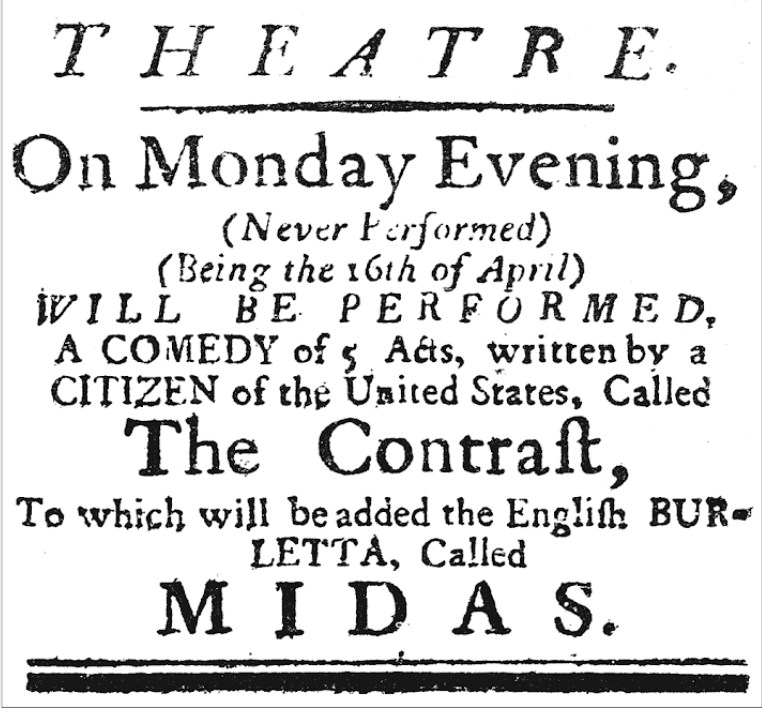 The play was performed at Brooks Memorial Library and several other venues around Brattleboro. As part of the Words Project, the Brattleboro Literary Festival will feature a reprise of the play on Thursday, October 11, 2018, 7:30 pm at 118 Elliott St. featuring Richard Epstein and Jenny Holan.